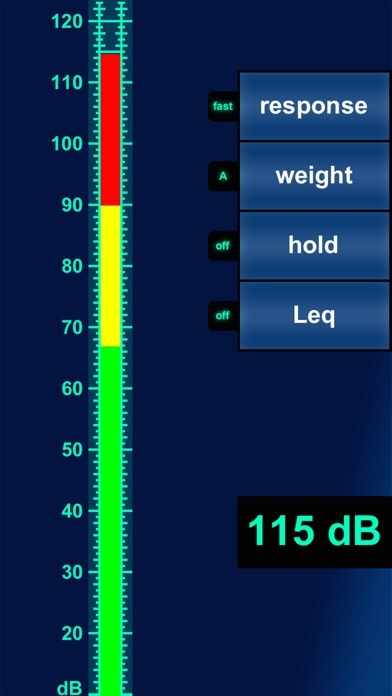 TheÂ Analyzer is a combination of a sound pressure level (SPL) meter and a full range multiple bands frequency analyzer. It is mainly designed for audio professionals who need to evaluate different working environments (e.g. studios, live stages)... thatâ€™s why itâ€™s perfect for anyone whoâ€™s in need of acoustical analysis!! It is easy to use and comes with amazing features only known from professional acoustic tools. Combine the Analyzer with external microphones such as the MicW i436Â or Microtech M372 for better measurement performance! Or use it with external USB audio hardware like the RME Fireface UCX or the Alesis IO dock, change the measurement scale to dB (FS) and use it as a studio Realtime Analyzer! Export to .csv oder .png files: share them via Mail, Dropbox, iTunes etc.